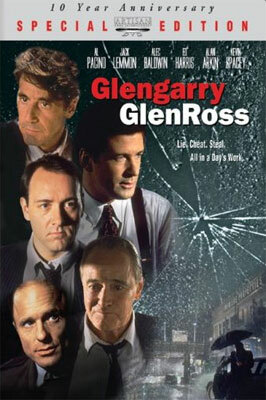 David Mamet's famed Glengarry Glen Ross provides a damning portrayal of the real estate industry. When it came time to put together the 10th Anniversary DVD of the movie release, the Hollywood producer in charge of the project wanted to give real estate agents the opportunity to defend their profession. He turned to Lino for help. Lino and three of his colleagues voice their perspectives. Above are video excerpts of Lino's commentary from this collectors' edition DVD.